Oh, I know there are many, MANY more reasons why your wellness journey matters but I wanted to jump start your thoughts into thinking positively about the possibilities! + Ask a loved one to join you on a lesson of healthier living like taking a real food cooking class or going on a farm tour. + Maybe connecting with some local families and offer your acts of love and kindness. We need more of that in our world plus there's an intrinsic benefit to this act because it opens the doors of more good things in your life, you know, blessings?! + Find eco-friendly and sustainable small businesses in your community. Learn the 12 Reasons we should shop small here. + Learn about your environment and remove the negative triggers that permeate every fiber of your being throwing you off your goals. + Foster the encouraging resources and find like minded communities to grow! Talking about growing, I've had my feet grounded in learning as much as I can about food integrity with a concentration on label reading. I am just now getting my toes dipped in when it comes to personal care products. I have learned a lot from Monica with Ava Anderson, Women's Voices of the Earth, and MomsRising. There is A LOT to learn; however, don't get discouraged. One small step for mankind, wait, I mean, well, it is for mankind! Because you are becoming aware of the source and quality of what you're putting on and in your body one ingredient at a time and this will not only help people but the planet too! I often quote, "quality and source matter" meaning I put emphasis for clients who are in various stages of their wellness journey. We all can become informed and then make changes as our resources allow. Sometimes a mindful shift is required to make the change happen and stick! One of the principles I focus on in my health coaching business is teaching individuals to eat more of the real rainbow, that is... fruits and vegetables and to always make organic choices whenever possible. However, simply knowing your food is organic may not be enough. You may know a local farmer or have a supplier where you know their cultivation processes but they do not carry the symbol currently (or yet) but they have gained your trust. There are plenty of conscientious brands (companies) out there who are 100% transparent with all the ingredients and can and will answer your questions and disclose the information prominently on their website. If you're unsure about any product you consume or are considering, please message the affiliate, agent, rep, or the company direct before making the investment into your health. With that said, we must be willing to dig deep about all products that we believe are a good source of quality for us. Don't just stop at supplement companies but look at household consumables and skin care and food - make the real food switch, one item at a time. Labels. Ah, they're fancy many times. Even certified organic can have some inferior ingredients. How does one know that? Well, those companies do disclose their ingredients list. So check it out - it's found on the Nutrition Facts label. You can learn about some of the requirements companies must go through to receive the organic certification and what they must do to keep it here from the USDA website, what percentages of ingredients must be organic from NSF here, and 10 frequently asked questions about organic from About here. I like to see the NSF label on products that do not carry the certified organic label. NSF is a third-party organization unaffiliated with any company. They basically test to see if what the company says is in or not in their product is the truth so if you find a company that says non-GMO but is not non-GMO project verified but carries the NSF label, you can feel good about your purchase. Not everyone can afford the USDA certified organic label without increasing their own product prices but with many voices like Mamavation, Flour Sack Mama, Robyn O'Brien, and many other front runners, there will come a time (we hope) that this label will be available to more farmers and suppliers without the risk of putting them out of business. Know your ingredients. Know your supplier. Ask the questions. Learn. Research. Grow! 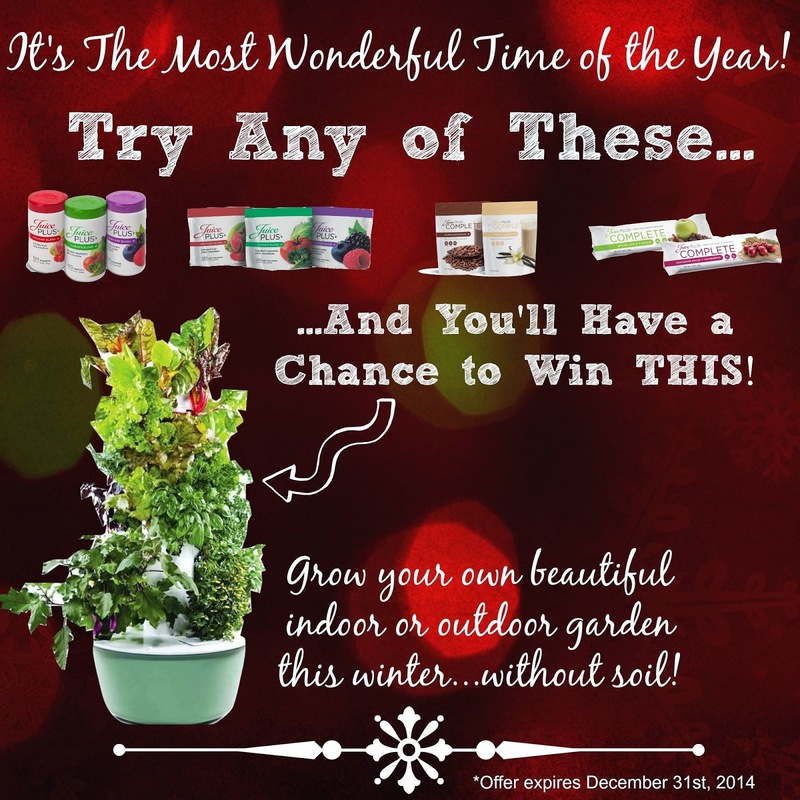 In order to be entered into this promotion, all you need to do is place a new order with me (click here to view the products) by December 31, 2014. You can find my products page here. The products are plant based, grown without contaminants, non-GMO, gluten free, dairy free, non-irradiated, no preservatives, no artificial dyes or sweeteners, Kosher, and NSF certified. You may also be interested in the research on our product. It is independent, third party and published. Here is a listing. There are over 30 studies to date! Food grown in this gardening system cannot officially be called 'organic' because there is no soil but many refer to it as such because there are no contaminants (unless you apply them yourself but why do that when you can use garlic, herbs, marigolds, to keep the bugs away?). You may want to follow my Sustainable Living board here for eco friendly and upcycled tips to homesteading, gardening, etc. What else do you need to know? Other than placing your order directly with me, (link here), and by the due date (12/31/14), you cannot be an existing team member. 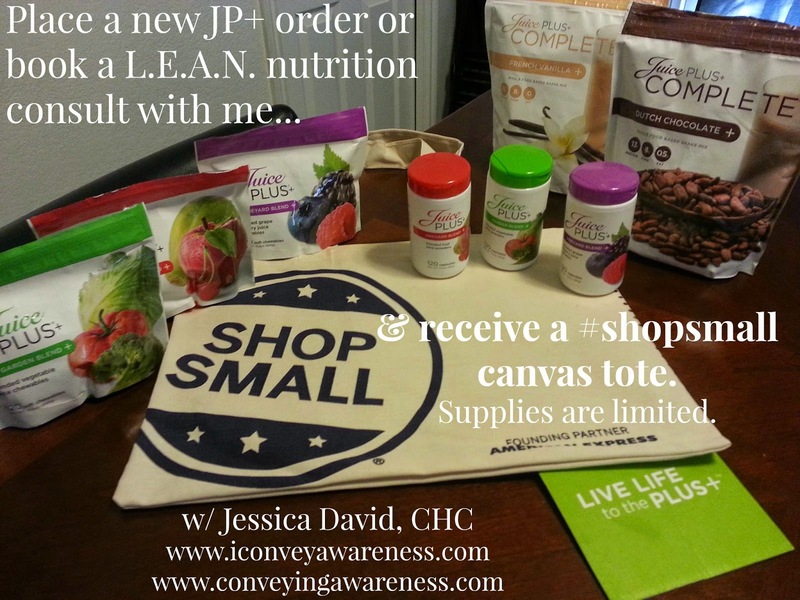 This offer is only for customers - (new, never ordered) or existing - by placing a new product order. This is all you need to know to be entered into the free gardening system. Additional accessories are not included; however, the system comes with a lot to get you going including non-GMO seeds. Details on what comes with it here. (If you do not want to be entered into the promotion, let me know that when you place your order.) Good luck!! NOTE: This gardening system is available in the continental U.S. (and direct from Canada to Canada). You can grow fruits, veggies, berries, herbs, flowers and 'some' root veggies (I've heard it can be done) in this gardening system. Learn more about this system here. If you've ever traveled to Chicago O'Hare you may have seen them. If not, here's a video. More and more people are aligning themselves with this sustainable movement. Ever heard of Ron Finley? He ordered one of these systems (view here on Facebook)! Listen to his TED talk here. Plant your roots with me! Maybe ordering the product(s) is not enough. 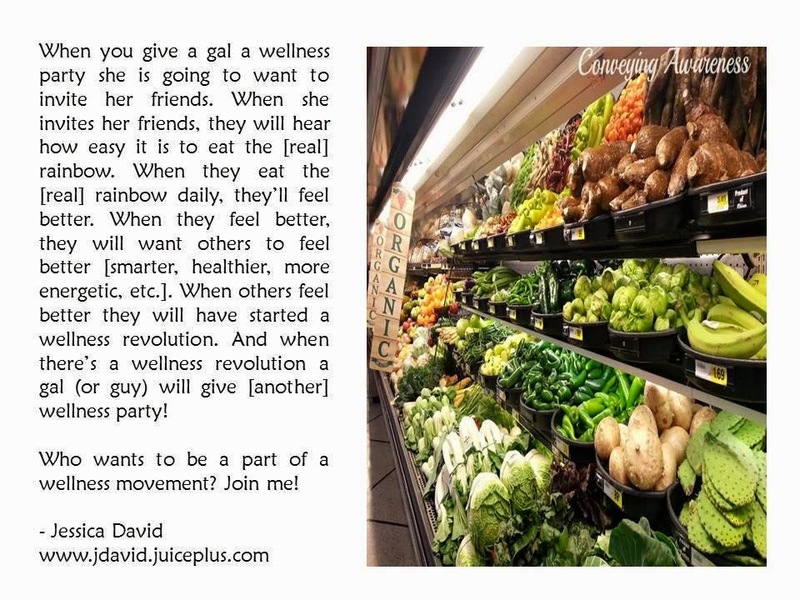 Maybe you want to get involved in this wellness revolution with me? Sweet!! I'm expanding and would love to have you on my team; however, I must add that having an interest in real food nutrition and witnessing other people bloom into their own version of wellness is a huge plus! So, link arms with me and let's live life to the PLUS+! More details here. I mentioned supporting small businesses (12 Reasons) above, but I also wanted to share with you that I'll be giving away (until supplies run out) a #ShopSmall canvas bag with every new customer. The extras just keep coming! Are you excited yet?? Thank you for sharing your inspirational '7 reasons why your wellness journey matters" with us at the Special Holiday Edition: Healthy, Happy, Green and Natural Party Blog Hop 2014! I’m pinning and sharing your wonderful post! All the best to you! Happy Holidays!